So much to say about the 2018 midterm election … so I’ll start with this item. 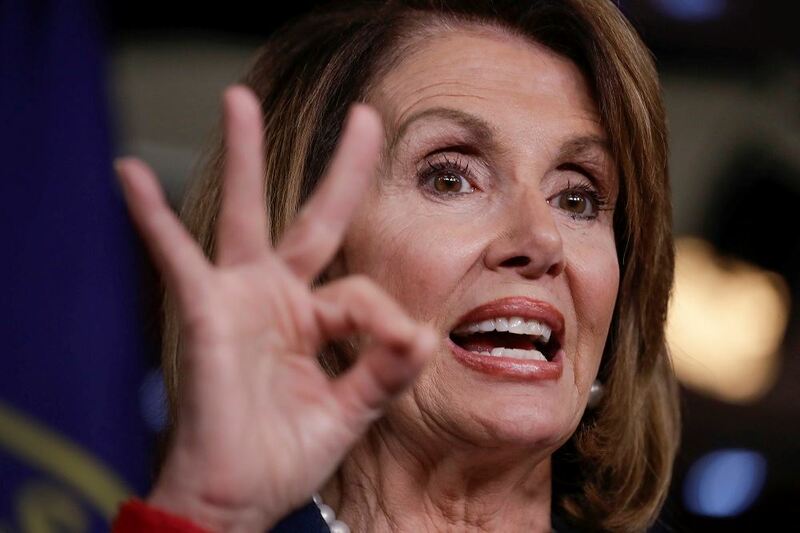 The presumptive speaker of the U.S. House of Representatives, Nancy Pelosi, said prior to the election that Democrats should cool it with talk of impeaching Donald J. Trump. She said impeaching the president is a non-starter and she didn’t want the campaign to be decided on that issue. Here is her chance to make good on that plea. Democrats seized control of the House last night. Senate Republicans gained a couple of seats, cementing the GOP control of the upper legislative chamber. The former House “ranking members” will become committee chairs. They’ll be able to call the shots in the House. The ballots were still being counted Tuesday night when word came out of Washington about Democrats wanting to subpoena the president’s tax returns, which he has (in)famously refused to release for public review. I want to see them, too. However, Democrats also campaigned for office demanding that “pre-existing conditions” are honored if the House considers amending the Affordable Care Act. They have health care to consider. They also have budgeting issues to ponder. They have to consider potential new tax cuts. That budget deficit is spiraling out of control. The president called the new speaker last night to congratulate her for the Democrats’ House victory. The two of them reportedly talked about bipartisanship and working together to get things done on behalf of the people. I don’t know if Trump actually means it, given his propensity for lying. Pelosi should heed that call, even if the president reneges down the line. Those of us who want to see government re-learn how to function on behalf of the “bosses” — that’s you and me, folks — must demand that a divided Congress learn to unite within itself. We also must demand that the president and Congress set aside the fiery rhetoric and start acting as if they mean what they said about cooperation and compromise. Previous PostBeto falls short, but the struggle might gain steamNext PostThe turnout was huge in Texas … imagine that!